Having just come back from travelling, I’m working overtime trying to get my diet and exercise back on track. 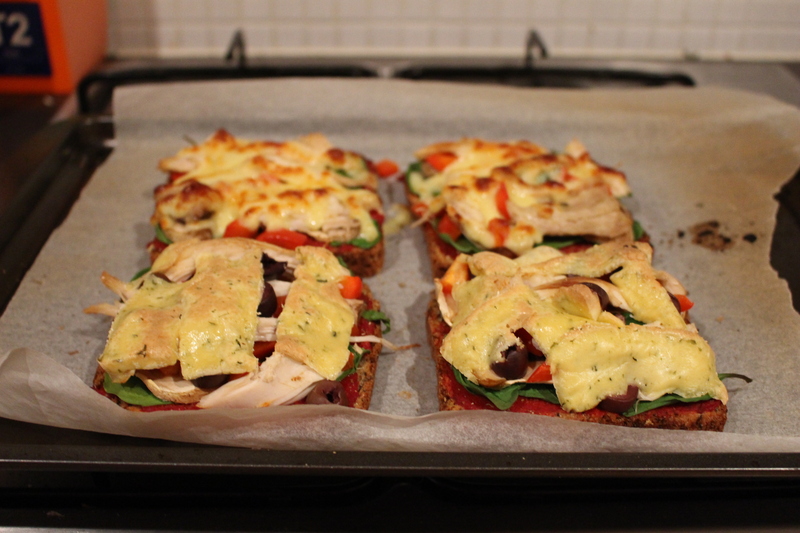 Tonight I went for my run and afterwards we really wanted pizzas so we put a healthy spin on it! We had to work with what we had, and didn’t have any whole wheat pitas, but we used our normal bread and it worked out really well. I topped the bread with lots of tomato paste, then sprinkled on some oregano. 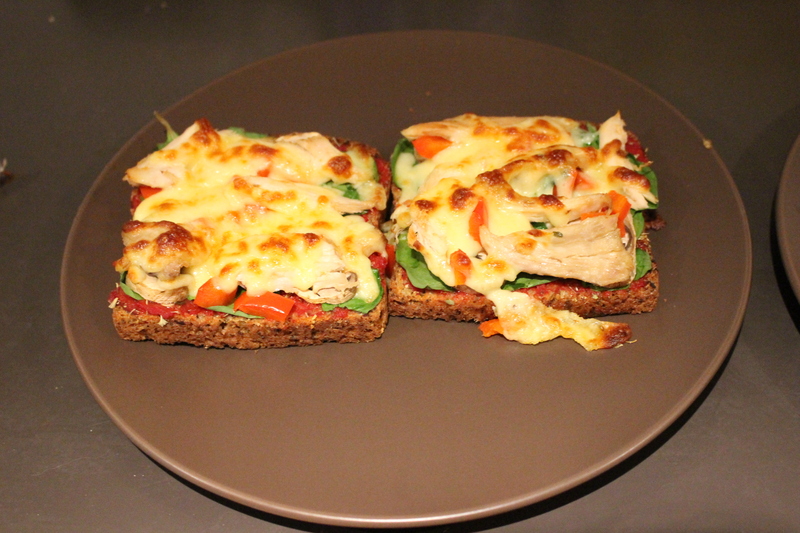 After that I loaded the slices up with spinach, red pepper, mushroom, chicken, black olives and low fat cheese. They only needed about 10 minutes in the oven and they were perfect!